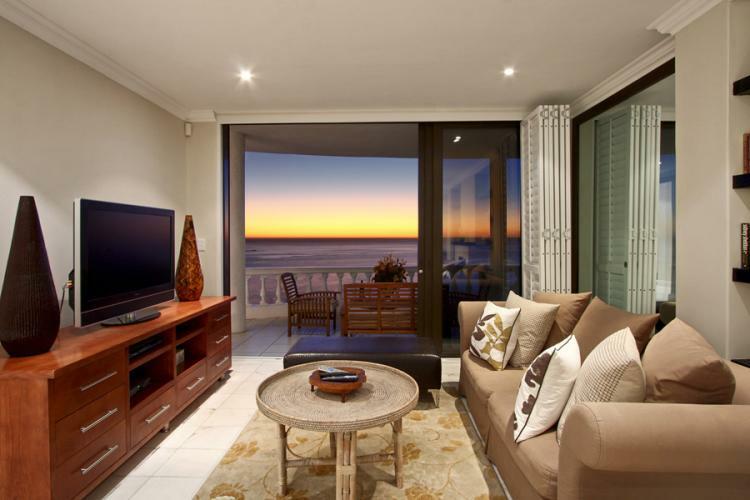 With 180 degree views of the famous Clifton beaches, an open plan design, courtyard and parking bay, this luxurious apartment in Cape Town is hard to beat. 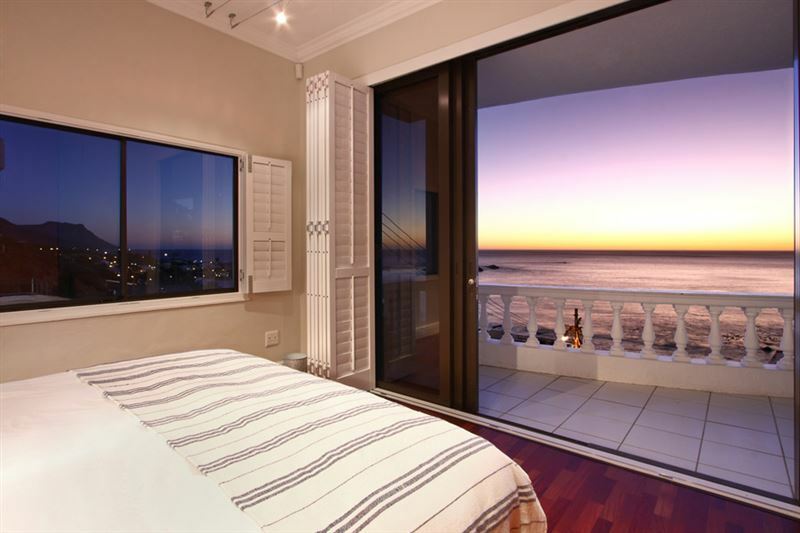 This luxurious apartment boasts 180 degree views of the Clifton beaches and is only a two-minute walk away from Cliftons Second Beach. <br /><br />The main bedroom leads out onto the balcony. 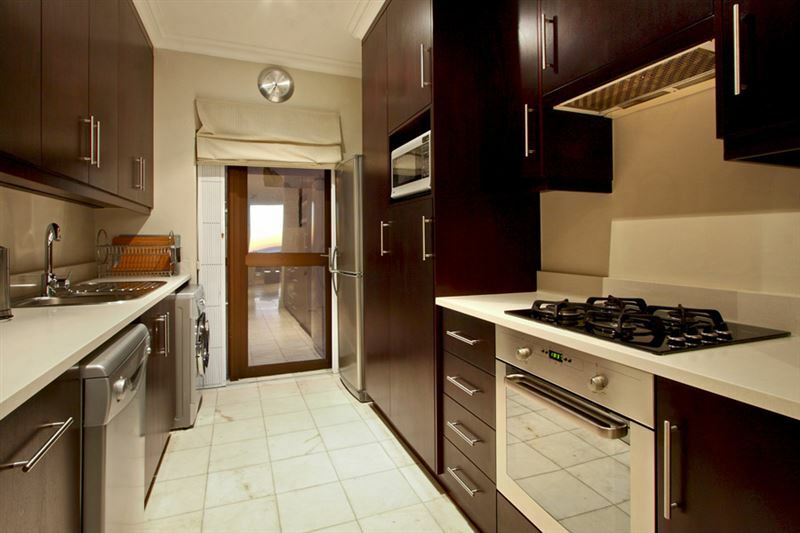 The kitchen, dining room and lounge are open-plan with spectacular views of the ocean. The kitchen is fully equipped with a fridge, freezer, microwave, washing machine, dishwasher, coffee machine and all cooking utensils. 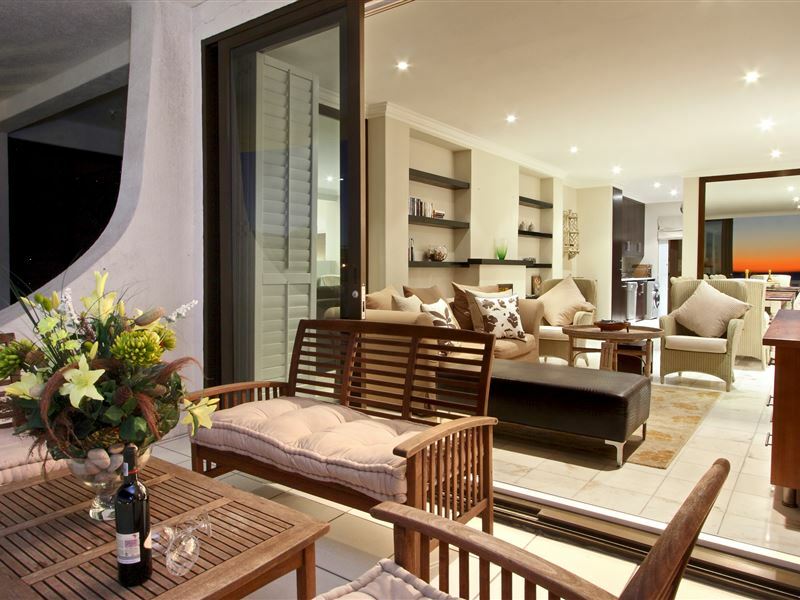 There is a courtyard behind the kitchen with a table, chairs and a braai. Parking facility is for a single parking bay for one car; saloon car and not a 4x4 or SUV.<br /><br />Enjoy a lavish stay in a setting that will leave you awestruck. "The home itself is excellent. It is exactly as it appears in the posting. Two bedrooms face the back and are very quiet and the master faces the street/ocean with spectacular views (with some traffic noise but not bad). 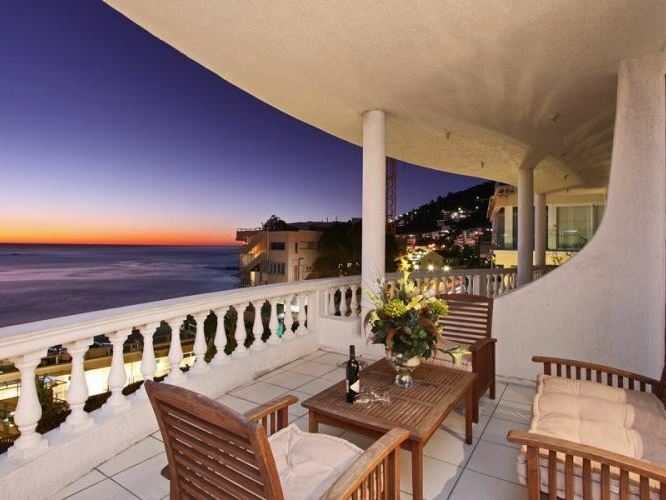 The deck is huge, amply furnished and also has the spectacular views. The beds are very comfortable and the condo is reasonably stocked with dishes, pots, etc. The condo is 50 meters from the stairways for both Clifton 2nd and Clifton 3rd so easy access to both of these beaches and about a 20 minute walk to Camp&apos;s Bay, which has some great restaurants, a grocery store, another great beach and is an access point for the Hop On, Hop Off bus if you are so interested. 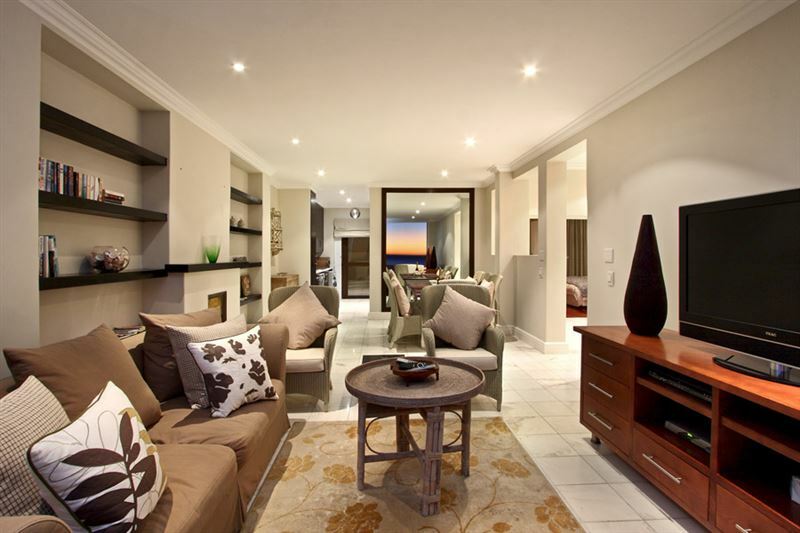 The condo is a short cab ride to downtown Cape Town as well. The daily maid service is an excellent touch and ensures the place is spotless throughout your stay, your beds are made for you, your dishes get done, etc. An excellent service and Tariro (the cleaner) is very pleasant to deal with and prompt at her scheduled time.The only critiques I have of the place relate to payment methods, the level of detail of communication and some minor maintenance that should be done. If implemented, these would truly allow the condo to be the perfect experience.With respect to payment, if you do not pay in full, up front, you will be expected to send cash (ie, wire transfer). Although they did set up Paypal for me after I requested it, I am always hesitant to send &apos;cash&apos; to pay for a condo booking, as there is no recourse should anything go wrong. I would encourage the owner to accept credit card payments or to make it clear on Safari Now that if you don&apos;t pay in full up front, the balance is expected in cash. Similarly, the owner wants intimate personal details to send your damage and key deposits back to you via wire transfer. This again makes me uncomfortable for a one off vacation booking. Most private condo&apos;s give you these funds back immediately, in cash, on departure assuming no damages. Waiting for weeks and having to give bank account details and extensive other personal information is disconcerting. Hopefully the owner will rectify this in the future. Likewise the managing agent could provide more explicit detail on the arrangements to access the condo and how they will deal with things like flight delays, should they occur. I had to chase down this information and that just makes things more of a hassle than necessary.Lastly, the place could use a couple of minor repairs, though these didn&apos;t affect our stay too much. The hood fan on the stove was not working, there is no light over the stove, the toaster was broken and there were no instructions on how to use the satellite TV, so we could not use it until the cleaner eventually got it going for us.Overall the place is excellent but to hit the 5 star rating it strives for, payments and refunds should be easier, communication should be a bit better and repairs and maintenance a little more timely.We would overall recommend the place, however. Enjoyed our stay!" "What a lovely place. 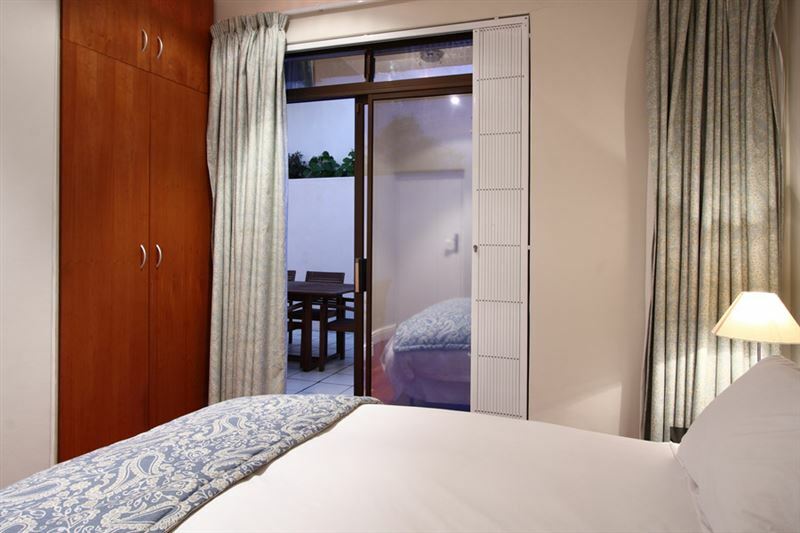 It is well situated, cosy and generally very welcoming. It didn&apos;t take us long to feel completely at home." 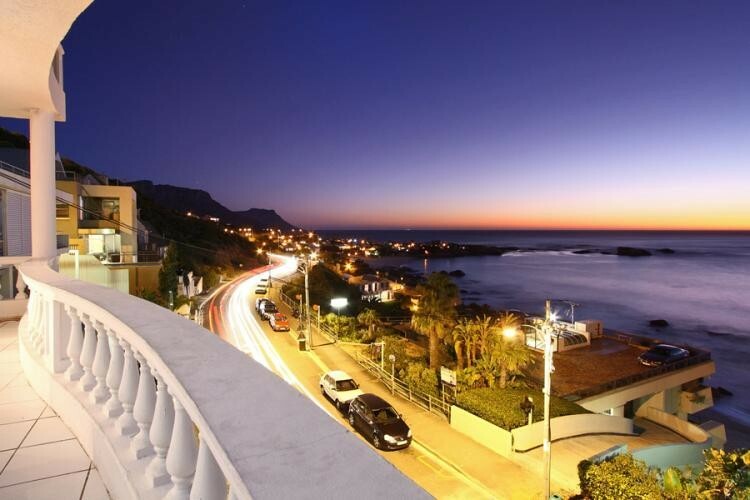 "Great apartment, right across the road from Clifton 1 and 2 - no taxi required. And it is only a 1.6 km walk from Camps Bay restaurants. It is fully serviced with helpful and trustworthy staff. I will definitely use it again." 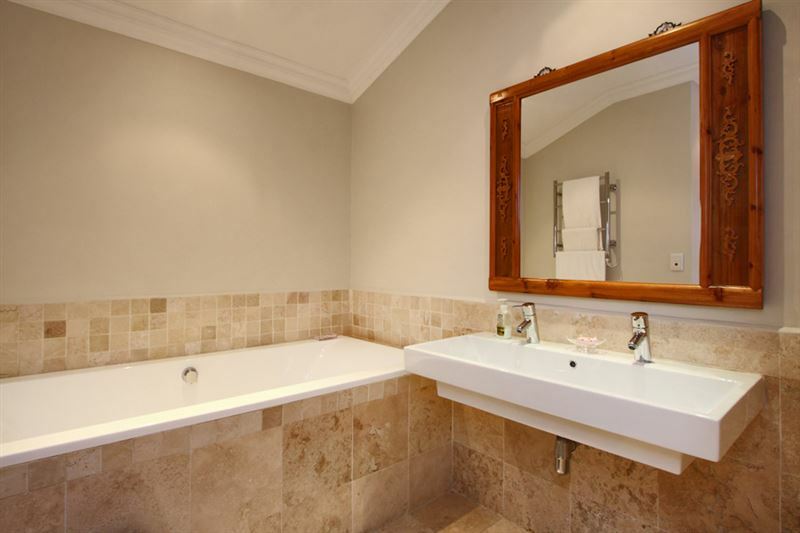 "The accommodation is in an excellent location in Clifton. It is good value-for-money and fully serviced."